I finally picked up a 201, after hearing how well they run, and I have to agree they sure sound great and make a nice stitch. This one is very dirty, but will clean up nice. 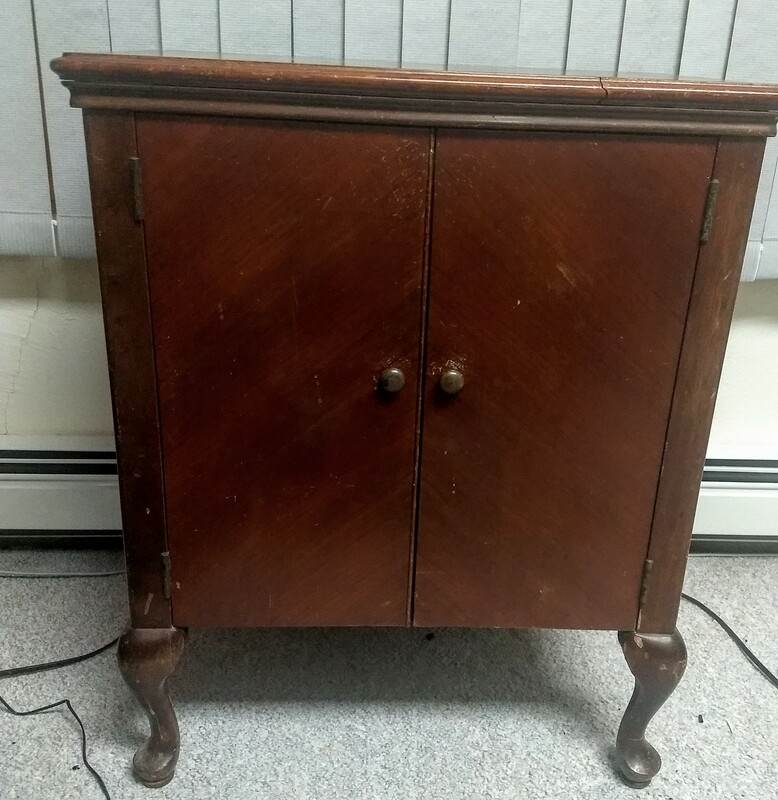 It came in a #48 cabinet which is probably one of the heavier cabinets I have. Not sure where all the wieght comes from. 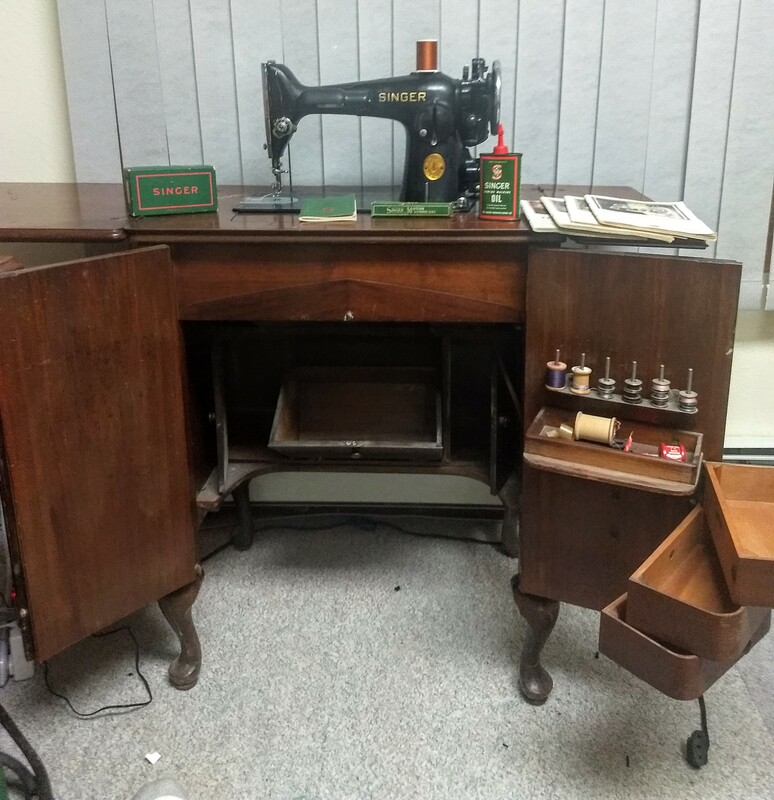 The bonuses are that it has the original manual is nice flexible shape, original singer oil, motor lubricant, attatchments, and a 4 booklet set of "Sewing the Modern Singer way" from 1930. Wow! well worth the wait.. Quite a score there. Well done. Nice! I love it when they come "complete," including the oil can. That is simply awesome. I would so love to own one like that. The cabinet is so pretty. Oh my!! I would have grabbed up that cabinet in a heartbeat if I had seen it....nice to have the machine also, but it's the cabinet that impresses me most! That is a dream find! I'm totally envious, I hope something like that turns up near me ;- ) I like 201s in general, and the early versions have a very nice pattern on the chromed plates. You cabinet looks great too, it will hopefully shine up with the right furniture polish. Unless there's particular damage it's surprising how far you get with basic cleaning, polishing and minor touch up to the original finish.